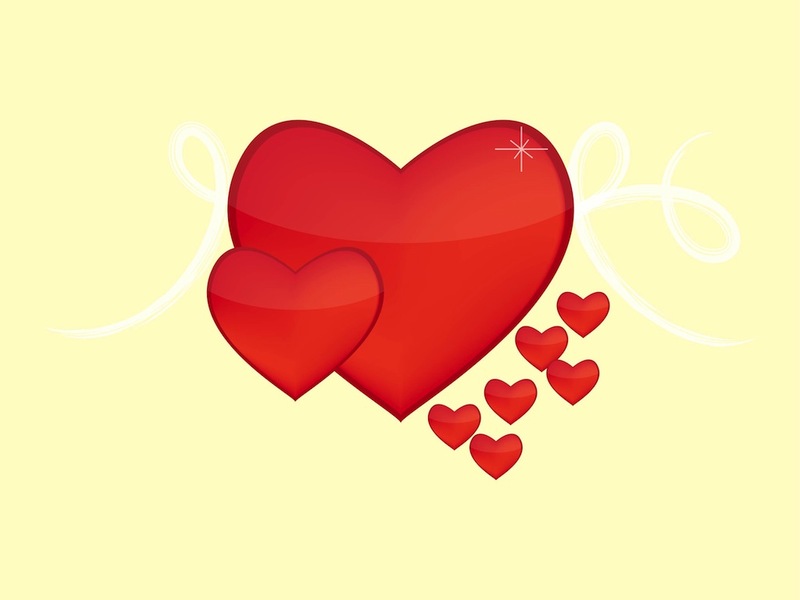 Valentine’s Day vector graphics of hearts with different sizes. Romantic layout with shiny shapes and subtle sparkling decorations and reflections. Abstract swirling lines in the background, shiny heart shapes for all your romantic design projects: Valentine’s Day greeting cards, T-shirt prints and stickers. Tags: Hearts, Lover, Romance, Romantic, Valentine, Valentine’S Day.